If you are not already offering floor plans you will, no doubt, be feeling the pressure from agents to provide this service. You may have already lost business over it. Offering floor plans is a great way to increase your average job spend. 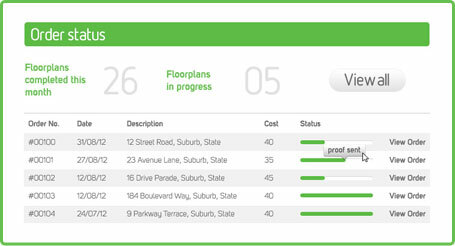 All that is involved is approximately an extra 20 minutes on site and that’s it! Obtaining marketing costs from vendors is always difficult. A floor plan for an average home can cost anything from $120 to $200. FP4RE offers full colour floor plans from as low as $25 making quality plans affordable to even the tightest of marketing budgets. As an agent, you may find yourself too busy to draw the floor plans yourself. Most offices find it more time effective to nominate a single staff member to be responsible for the drawing of all floor plans. Talk to your principal about getting the office to work together so that everyone can afford to offer floor plans for every listing. For developers, building owners and others with special needs, FP4RE offer custom made floor plans for larger scale projects. These plans are uniquely tailored to fit the particular specifications and features that our clients request. Simply fill out a contact form detailing your job size and special requirements and one of our staff members will get in touch with you as soon as possible. FP4RE prides itself on having the fastest turnaround in the business. 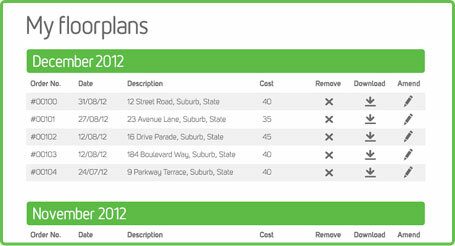 We will do our best to get your plan back to you within 12 hours and within 24 hours without fail. Our amendment process allows for up to two separate corrections free of charge and we’ll get your new plan back to you as quickly as possible. Low prices means more profit for you! A minimal outlay of as little as $15 allows significant scope for added profit margin for the final product that you provide to your customers through your business. Floor plans produced through FP4RE offer you with the potential for an additional revenue stream on top of your existing core business. 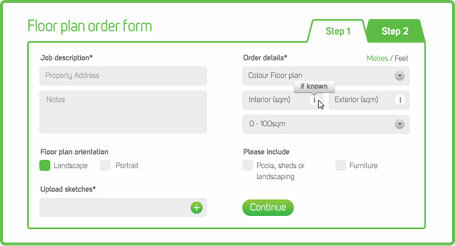 FP4RE offers full colour floor plans, complete with hatching and decorative plants as part of its unique signature product. For those who prefer a more simple and traditional look, FP4RE also offers conventional, stripped down black and white plans. Our user friendly Members Area provides a central location to monitor all your activity with FP4RE. 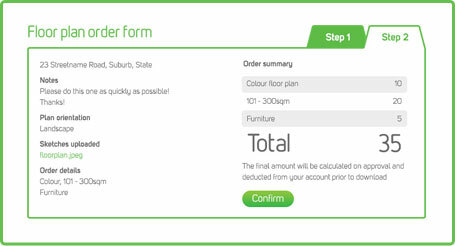 Here you can place new orders, view completed orders, track the status of pending orders, check your account balance and deposit additional funds as needed.